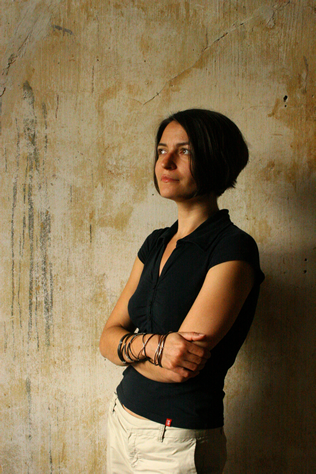 Born in Erfurt, former East Germany, Karola followed an intense artisic training in her home country. From 1994 to 1996 she studied Textile Design at Burg Giebichenstein, University of Art and Design Halle, Germany and left the renowned College with pre-diploma to start an internship at a goldsmithing workshop in her hometown. From 1997 to 2002 she then returned to her former university to study Jewellery Art where she obtained a Diploma for Fine Art in 2002. From 2003 to 2004 she worked as a production goldsmith and gallery assistant at Juhls Silvergallery in Kautokeino, Norway. From 2004 to 2006 she followed an MA course at the Royal College of Art London and graduated with a Master of Arts from the Goldsmithing, Silversmithing, Metalwork and Jewellery Department. After a decade of living, working and teaching in London, Karola returned to her home country and is now based in Luebeck, northern Germany.